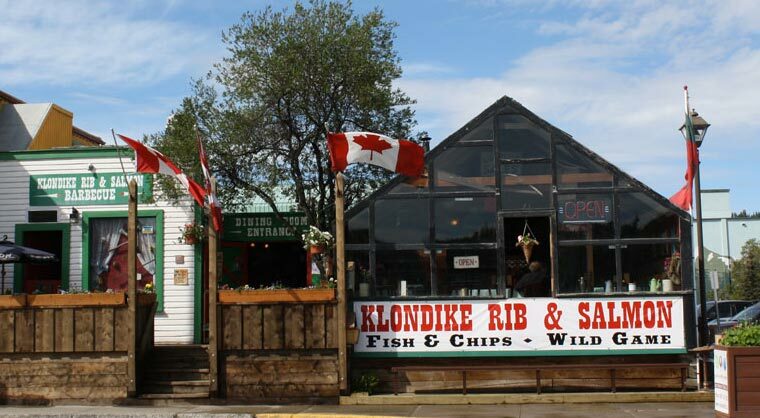 On the Klondike Korner – Located in the two oldest operating buildings in Whitehorse, Klondike Rib and Salmon B.B.Q makes it’s home in what was originally MacMillian’s Bakery in 1900! Today it’s one of the Capital City’s dining hot spots! Their specialties are northern foods including northern fish, smoked meats, wild game, bannock and sourdough bread pudding. True Northern Flavour, with “good old” Yukon Hositality.